This wasn't my ideal return post after our absence but after Blogger banished an hour and a half's worth of writing about our recent visitors and travels into the nethersphere, this is the best I could do (though I plan to be bitter about this the rest of the afternoon). 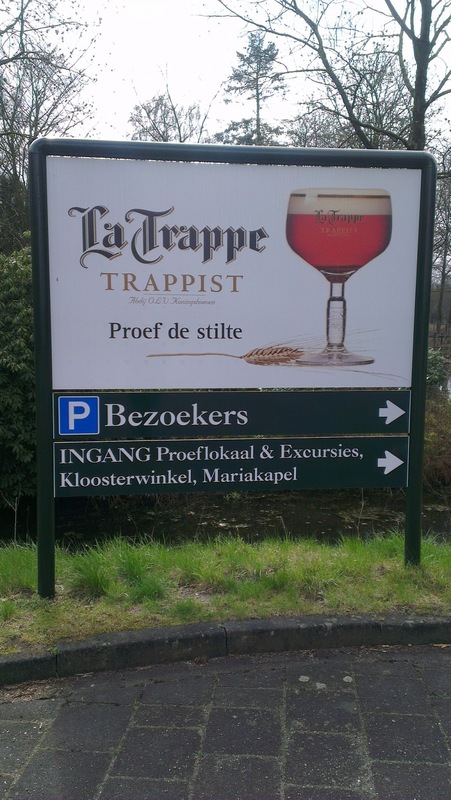 We are conveniently located just a 30 minute trip away from the La Trappe Trappist brewery. Admittedly, this is not true for most of the Netherlands, but it works for Tilburg. From our place, we can be there by 2 short bus rides or a bike ride that I'll estimate to be about an hour long. La Trappe is one of 7 Trappist breweries in the world - the other 6 are located in Belgium. To be considered truly Trappist, an order of monks must either complete or oversee the completion of the entire beer process. And they do a good job of it. La Trappe is available in some places of the States - I highly recommend their Isid'or brew (named in honor of their first master brewer, Brother Isidorus) if you can find some, but all their choices are excellent. Watch out, though - these are Belgian beers, so the alcohol content is higher than most other brews.